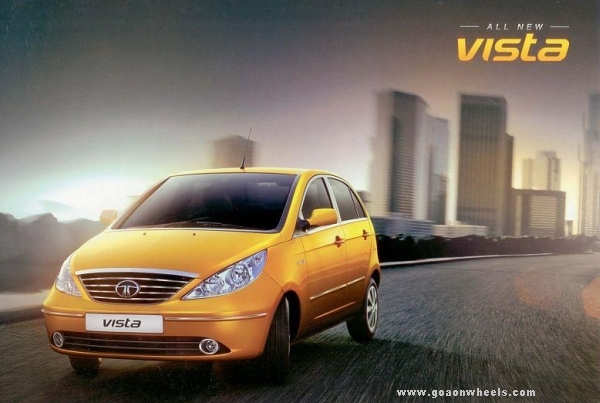 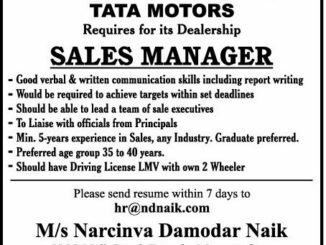 Auto Industries, dealer for Tata Motors passengers cars in Goa is looking for Marketing Executives, Senior Sales Executives, and Team Leaders Sales for their sales outlets in Panjim and Margoa (Nuvem). 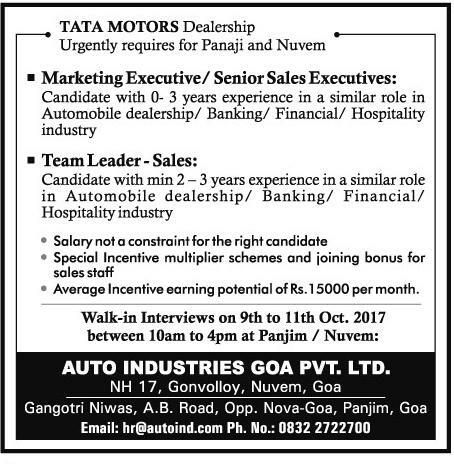 Walk-in interviews are planned between 9-11th October at Panjim and Nuevem sales showroom between 10:00 AM to 4:00 PM. 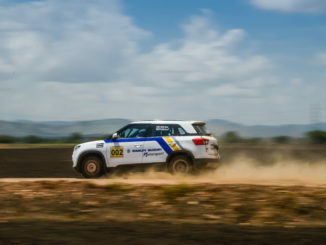 Tata Motors recently introduced the NEXON compact SUV and the Tiago Wizz edition. 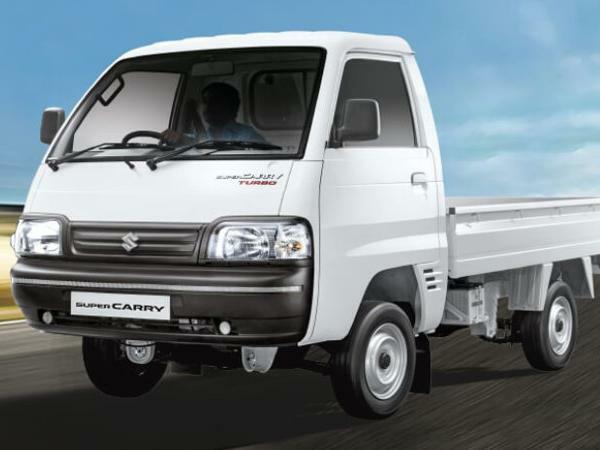 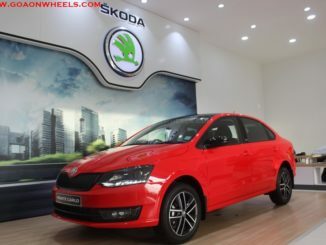 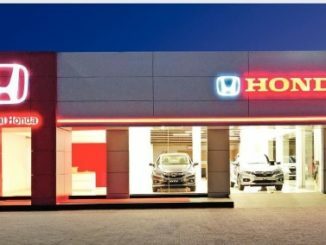 The company has launched 4 new products in the last 12 months – Tiago Hatchback, Hexa SUV, Tigor Compact Sedan and NEXON Compact SUV. 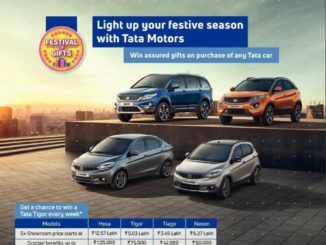 In the next two years, Tata Motors plans to launch 3 new products – A 5 seater premium SUV, 7 seater Premium SUV both based on the Land Rover platform and a new Premium Hatchback to compete with the likes of Suzuki Baleno and Hyundai Elite i20.